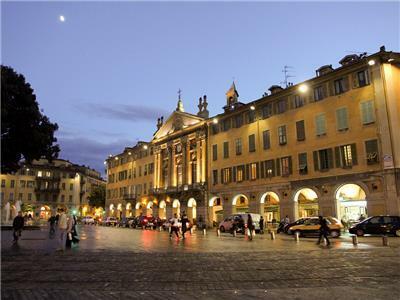 This is the second large square in the city which leads to the old town and also the port. Just hop on the tram and it takes you right there.Busy both by day and night with a good atmosphere and plenty going on. There are markets held here on certain days too.Full of restaurants, a particularly large restaurant is Café du Turin, specialising in oysters and various other seafood, although my favourite was Civette Garibaldi, where they serve the local speciality, Socca, as well as a good choice of Sandwiches, Paninis and Pizza for lunch and they’re not as expensive as most places in Nice. The architecture is of a different style here and the 3D painting effect of window shutters on the walls is really authentic and similar to those done on the side of the buildings on the Promenade des Anglais. 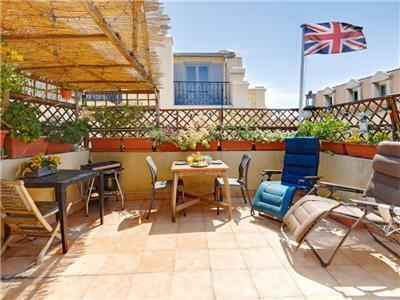 A unique apartment on the top floor (6th floor) with unique full sea views from the south facing terrace – with lights, flowers and BBQ! 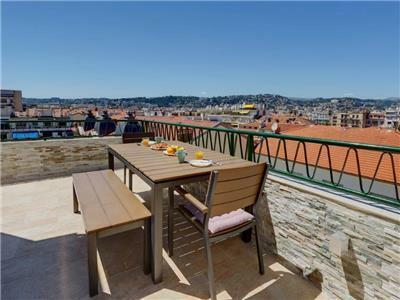 A Luxurious 1 bedroom apartment with great terrace – great location 50 meters from beach and Meridien hotel. 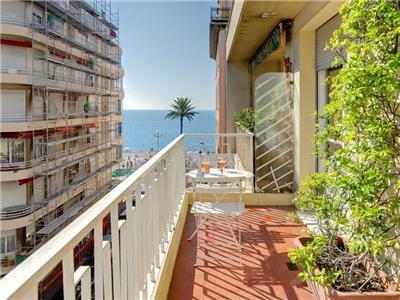 A quality studio apartment in the prestigious Palais de Mediterranee complex. 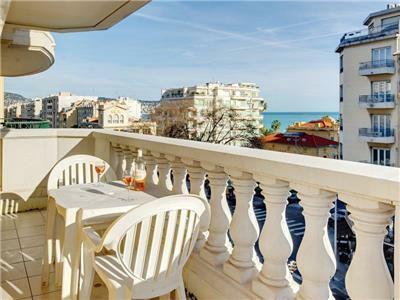 Dream studio and location – great location on Promenade des Anglais and with rooftop swimming pool (summer months mid May – Mid October) and sunbathing terrace on topfloor. 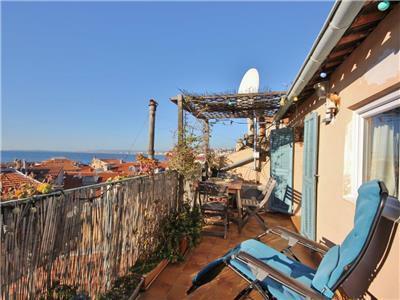 A lovely 1 bedroom apartment with swimming pool – great location 30 meters from the beach. 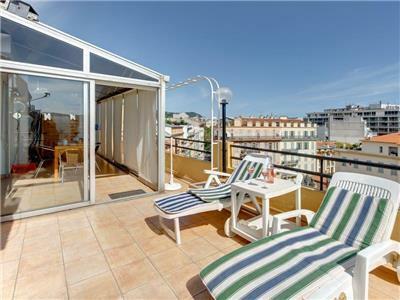 A lovely 4th floor 1 bedroom apartment – great location and sea views – 20 meters from beachfront. 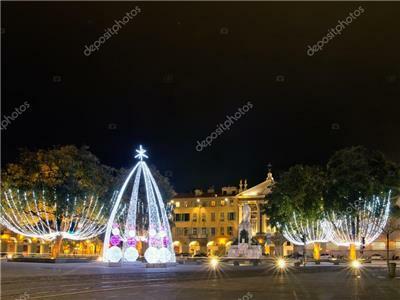 This is the second large square in the city which leads to the old town and also the port. Just hop on the tram and it takes you right there. Busy both by day and night with a good atmosphere and plenty going on. There are markets held here on certain days too. 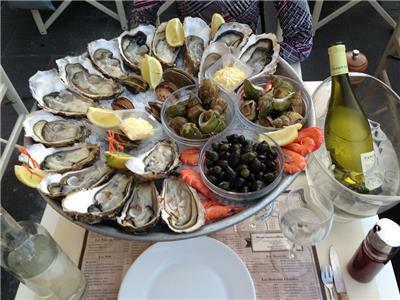 Full of restaurants, a particularly large restaurant is Café du Turin, specialising in oysters and various other seafood, although my favourite was Civette Garibaldi, where they serve the local speciality, Socca, as well as a good choice of Sandwiches, Paninis and Pizza for lunch and they’re not as expensive as most places in Nice. 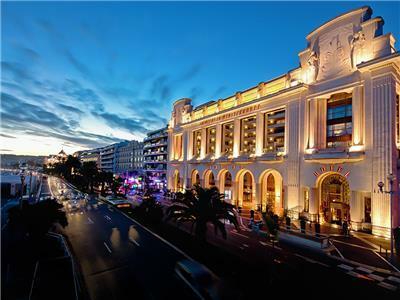 The architecture is of a different style here and the 3D painting effect of window shutters on the walls is really authentic and similar to those done on the side of the buildings on the Promenade des Anglais.